It’s a fact that today, the backyard is an extension of your home. Your backyard offers a peaceful slice of relaxation away from a chaotic world. However, after years of use you may want to consider a remodel. WestView Pools offers a variety of restoration options and equipment upgrades. 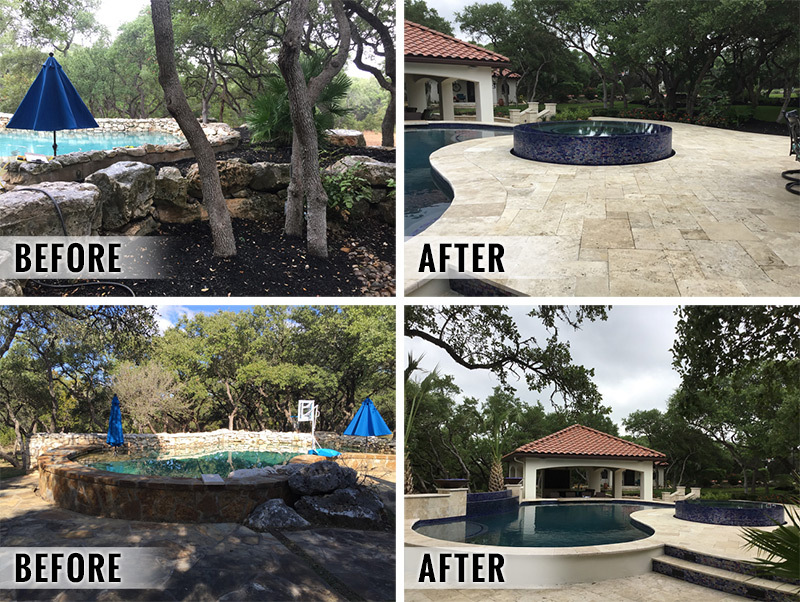 Whether you have a large or small space, a unique view to enhance or a specific desired outcome, WestView Pools can be your trusted partner during your backyard renovation. It should be expected that after years of use, weather damage, and steady chemical contact, pool and spas naturally begin to decay. Mineral staining can occur on plaster, and structural flaws such as cracked coping or holes in the concrete can cause serious leaks. As with any creative structure, pools and spas vary in material and equipment type, and general look and feel across time. Older pools and spas probably look like it based off design characteristics alone, and you may desire an update. Today, there are a vast variety of different tiles, finishes, and features to choose from that can bring your backyard to a newer, more modern beauty. Many existing pool owners are unaware of the drastic advancements in pool equipment and hydraulic efficiency over the past few years. You could be paying triple on your energy bill compared to what you would pay with newer equipment. Upgrading to a variable speed pump, for instance, can save up to 90% on energy costs. Older pools and spas many times lack the latest safety equipment as well. Suction outlet covers, for instance, prevent any type of entrapment in drains and are now required on all commercial pools due to recent legislation. Other options include adding a fence or safety cover to ensure the safety of kids and pets. Please browse our gallery of pools to see some of our best work, and gain inspiration for your exciting backyard, pool or spa remodel. Call 210-370-7080 today to schedule an appointment.